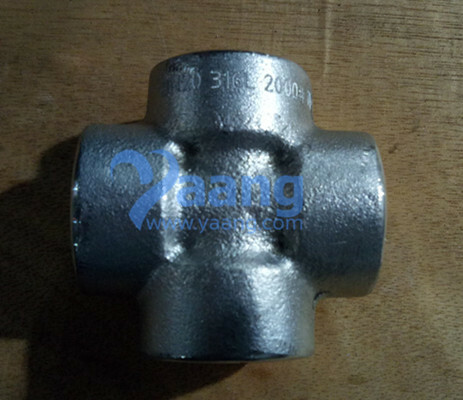 A Threaded Cross makes 90° branch from the main run of pipe. 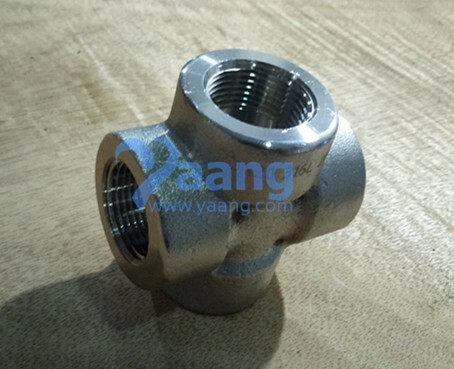 China Threaded Cross Manufacturer yaang supplies ASME B16.11 ASTM A182 F316L Threaded Cross, NPT, 3/4 Inch, CL2000. 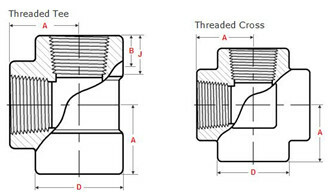 Dimension B is minimum length of perfect thread.